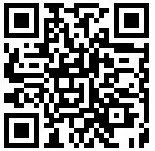 Did you know that “Smile Week” is August 10th – 16th?! That’s right! So why not take a stance with Kodak and encourage people to smile, while even dropping some compliments along the way? Purdue University students Cameron Brown and Brett Westcott – better known as the “Compliment Guys” – are taking their show on the road beginning this coming Monday to help bring smiles to people’s faces . Their trip is part of a summer tour sponsored by Kodak to spread compliments and smiles to U.S. cities. 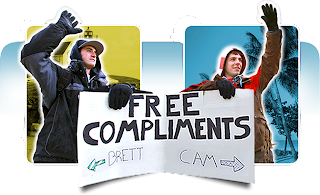 Brett and Cameron started a weekly ritual in 2008 outside the Purdue University chemistry building with a “Free Compliments” sign, offering kind and encouraging words to people who walked past. They’re also doing it on Twitter at www.twitter.com/ComplimentGuys. They’ll be visiting 10 cities from July 20 through July 30—I can send you the whole list if you want. They’ll be posting videos from their trip, as well as blogging about their experiences at http://www.brightsidetour.com/. Says Cameron, “Making people smile and brightening their day is something we love to do.” We encourage you to share this story with your readers and hopefully they will smile at this cool tour and realize the importance of giving compliments to their families and friends on a regular basis. You’ll see the enormous positive reaction if you check out the Twitter account and how easily Cameron and Brett were able to cheer someone up, just by offering them a simple #compliment. With so much negative in the world, these guys have the right idea. All of us can find things to sincerely compliment people on. Thanks for this post reminding us that we can make another person's day a little brighter. Smile! The Compliment Guys ... pretty interesting in todays world. Sad that its not more common. It's nice they'll visit 10 cities and make ppl laugh, I think we need that badly in this country right about now! I hat it when I am out and about here and see poeple just standing there so miserable and not even saying hello. I aways run by big mouth and say something like "life is too short, smile"